On October 15, 2018, “City Center Bergedorf” (CCB), Hamburg, opened Germany’s first multi-label parcel shop. The shopping center’s “Ein-Treff-Punkt” shop now offers the respective services of major parcel service providers such as DPD, GLS, and Hermes under one roof. As a result, parcels can be sent, received, and returned using several parcel services. 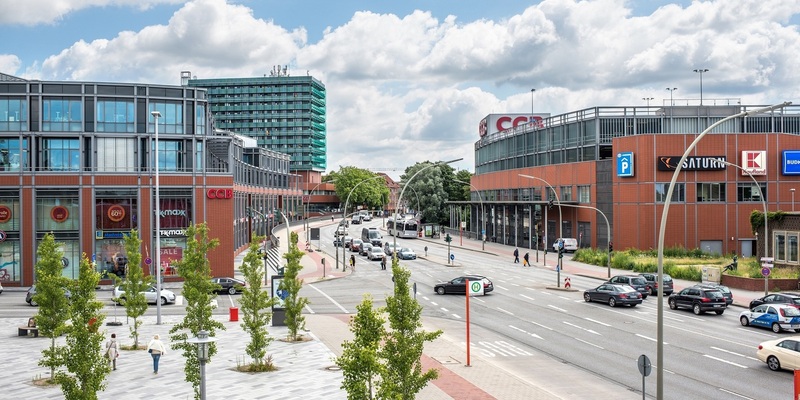 “CCB is positioning itself even more strongly as a marketplace in the heart of the district, thereby satisfying almost all the needs of Bergedorf residents. We are delighted to have several large parcel service providers on board,” explained Benedikt Jagdfeld, owner of the Deutsche Immobilien-Gruppe, which manages CCB. The project was preceded by a one-year test phase in which only the DPD and GLS parcel services initially participated. Due to the fact that the people of Bergedorf responded well to the offer, further expansion took place. Two more parcel services have been added to “Ein-Treff-Punkt”, which currently handles approximately 1,500 parcels a month. After an initial provisional arrangement, CCB manager Lutz Müller was able to establish a dedicated shop at a highly-frequented location. It has been specially equipped and remodeled to make the free service even more convenient for customers. 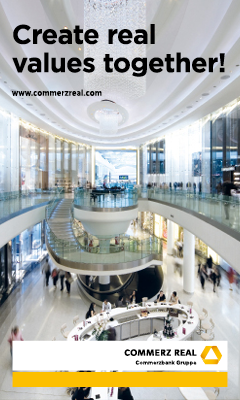 CCB is owned by a fund managed by Principal Real Estate Spezialfondsgesellschaft mbH. In these times of an ongoing boom in online retail, which has led to a further increase in the already steadily increasing volume of traffic, “Ein-Treff-Punkt” is an important model for the reduction of delivery traffic, the reduction of noise and exhaust emissions, and the sustainable improvement of parcel services. In terms of content, this pilot project is supported by “mySmartTLife”, an EU initiative for which the Hamburg district of Bergedorf is responsible and which, among other things, is investigating ways of solving tomorrow’s mobility problems.